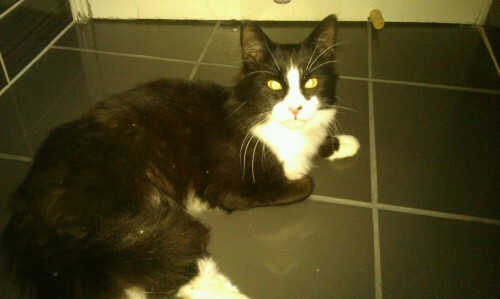 Home » Found » Found Cats » Found in Cobh – black cat with white face, belly and paws. Found in Cobh – black cat with white face, belly and paws. Hi. If she’s not claimed, I’d be happy to be considered for her new home.